The axed minister says he found out about his axing on Friday morning just like everyone else. 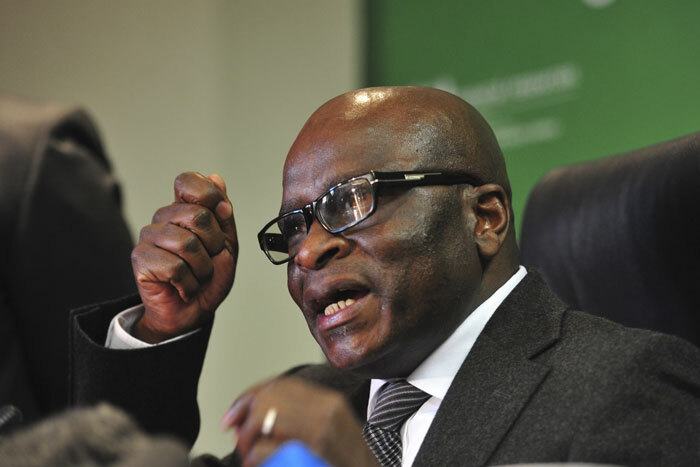 Former Public Service and Administration Minister Ngoako Ramatlhodi on Friday reportedly said he was relieved to learn that President Jacob Zuma had removed him from his Cabinet, saying the country was now at a crossroads. Speaking to EWN Ramatlhodi – who was axed in the late-night Cabinet reshuffle along with five other ministers and two deputies – said he found out about his axing on Friday morning just like everyone else without being given reasons why he had been fired, but he did not take offence. “I’m relieved. I think we’re at a crossroads, and I hope to keep in mind the interests of the country,” he said. Ramatlhodi said he would go back into business, and he was considering also leaving Parliament to focus on his role as a member of the ANC’s national executive committee (NEC). He was previously the minister for mineral resources before he was reshuffled by Zuma to public service and administration in 2015. Then Free State economic development MEC Mosebenzi Zwane, a known ally of Zuma, replaced him as mining minister. After months of widespread speculation about a possible Cabinet reshuffle, at midnight last night Zuma also axed finance minister Pravin Gordhan and his deputy, Mcebisi Jonas – sending the rand on a tail spin and increased market fears about an impending sovereign credit-rating downgrade for the country. Earlier on Friday during a press conference in Pretoria, Gordhan described an intelligence report that Zuma reportedly relied on to removal the pair from National Treasury as “absolute nonsense” and said its allegations were “sickening”. The report, ‘Operation Checkmate’, purported that Gordhan and Jonas had planned to embark on an international investor roadshow this week to the UK and US to plot with foreign investors in order to topple Zuma from power. On Monday, Zuma ordered Gordhan and his Treasury delegation to return back home from the first leg of the roadshow in London and cancelled Jonas’ trip to the US without providing any reasons.